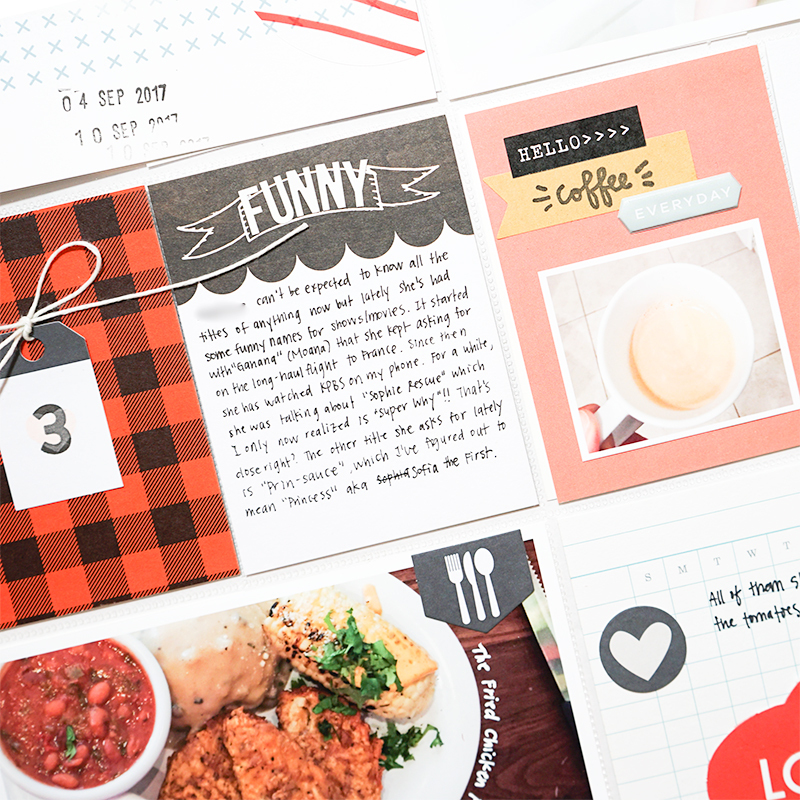 I usually like kits for the cohesiveness and ease of putting together spreads, but occasionally, I don't like the color scheme in the kit or the color scheme doesn't go well with my photos. The latter was the case for this week, so I ended up using a mix of cards from at least 3 different kits to get the look I wanted. It was the first week in September and I was looking for some darker fall colors to mark the change in season. I chose a color scheme of red and navy, with pops of pink, light blue and black as accent colors. 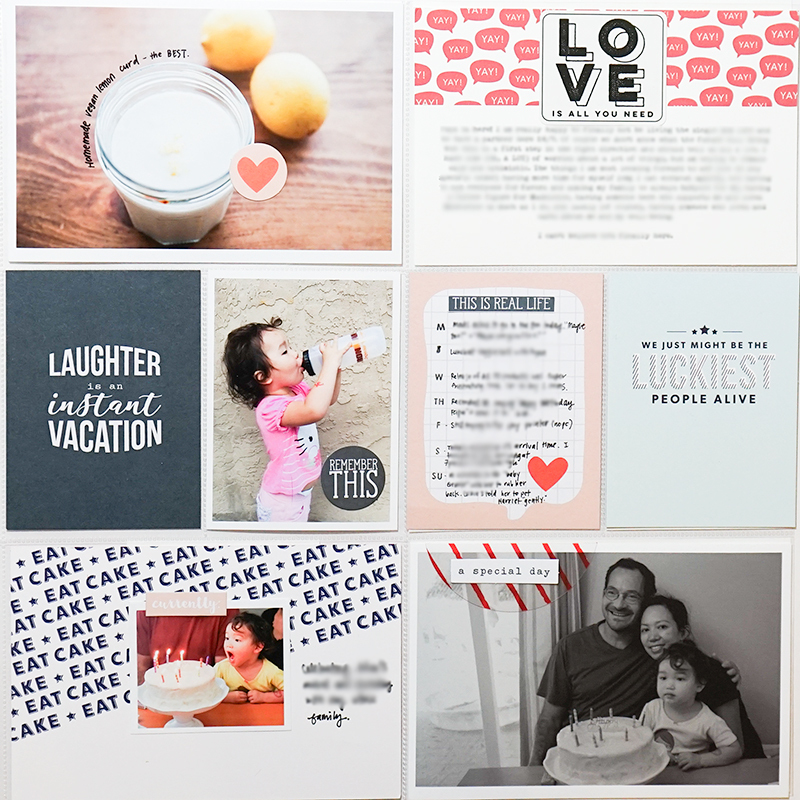 The cards are pulled from Gossamer Blue, Kelly Purkey, and Studio Calico. I left most of the cards alone with a few exceptions. The pink 3 x 4" card (with the coffee photo) had a quote on it that wasn't going to work but I still wanted to use it because of the color. So I covered up the quote with some label stickers to match the photo. 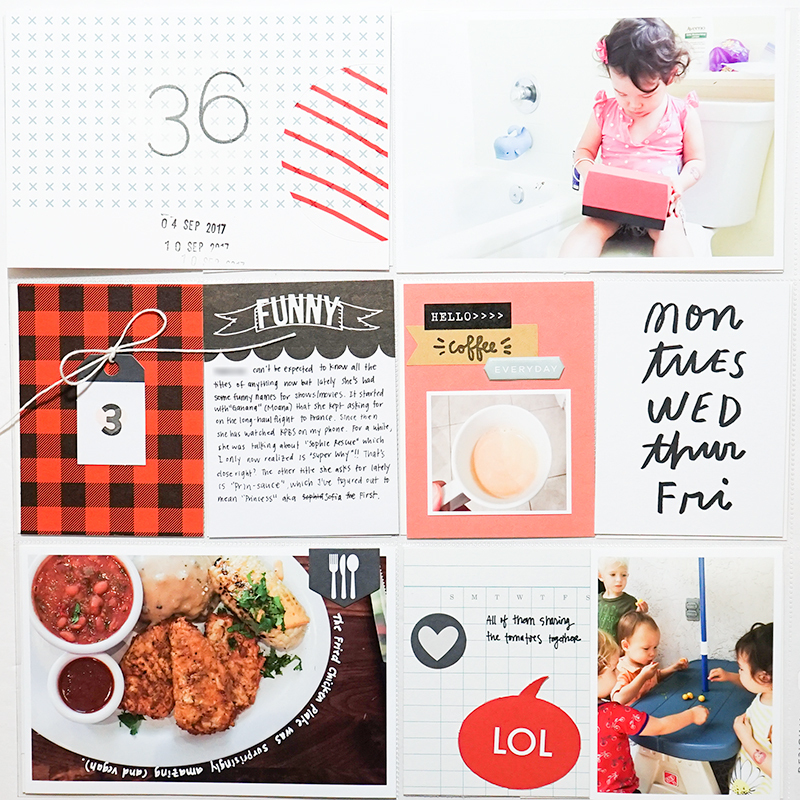 I also really liked a 3 x 4" card included with the Kelly Purkey Celebrate kit that had a pattern of "YAY!" red speech bubbles, but I wanted to use it for a 4 x 6" pocket. Since the digital cards are included with the KP kit, I was able to open up this card in Photoshop, extend the pattern to a 4 x 6" canvas, and then cover up the bottom half with my journaling. I am a strong believer of trying to make the cards work for you and not the other way around! Since I had a few small (1-2 sentence) stories I wanted to remember, I jotted these down in a weekly highlights format style on the grid speech bubble with pink background card. 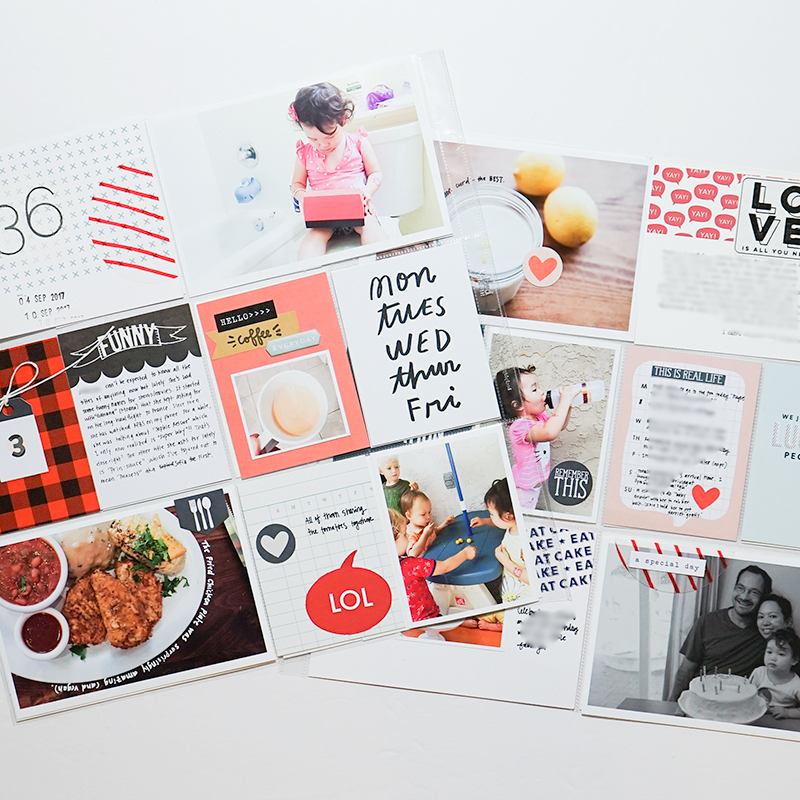 Several die cuts and journaling directly onto a couple of photos completed the spread. Thanks for looking and I hope I've inspired you a little!